That's right theatre fans. The holiday's are almost here. Well almost here. But trust me. They will be here before you know it. Now as we all know, New York City is the home to the Radio City Christmas Spectacular. In fact this year, the holiday favorite will be celebrating it's eighty-fourth year. Pretty impressive don't you think? But enough about everyone's favorite holiday show. I am here to talk about another holiday classic. George Balanchine's The Nutcracker, which first premiered in 1954, is set to begin performances at the David H. Koch Theatre on November 24, and run thru December 31. Tickets are now on sale so don't delay. Not only that, but we sell it. Also don't forget that Applause is open seven days a week. 365 days a year. That means we are always here to help with all of your ticket needs. 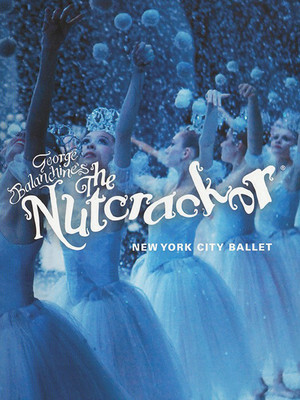 Get your tickets to see The Nutcracker at the David H. Koch Theatre. Your holidays won't be the same without it.